In our world of online how-to and DIY media, doing your own home renovations may seem like a breeze! It’s easy to imagine yourself knocking out a major property renovation in a weekend or two. Many homeowners take pride in getting their hands dirty, regardless of the difficulty or length of the project. But there are times when hiring a professional can save you money, time and peace of mind. Read on for Marcotte Glass’s five reasons to hire a professional window installer. Professional installers and contractors are bound by more than a handshake and their word– trustworthy professionals offer product guarantees and comprehensive warranties. A qualified contractor will ensure your project gets the right custom products. Marcotte Glass has the knowledge and expertise to customize every aspect of your windows, from shape, to color, to glass texture. 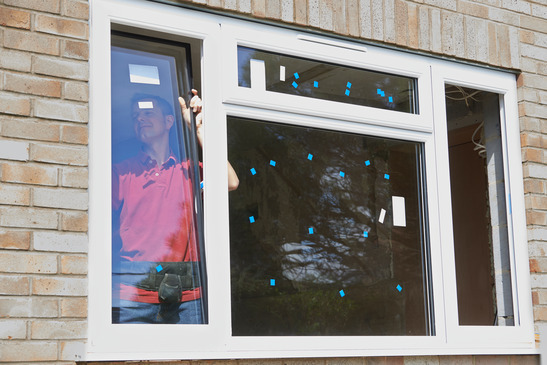 Major renovations can be a messy job, but hiring a professional company means avoiding much of the disruption, mess, and clean-up that comes with window installation. Professional crews prides themselves on leaving a spotless home after installing new windows. Professional installation companies, like Marcotte Glass, are fully insured, trained and properly equipped to handle your project, large or small. They have the expertise and professional equipment to ensure your job is done properly and safely. DIY projects can save you money, but could cost you a lot more if inexperience causes injury to yourself or damage to your home. Relying on a professional’s years of experience is like having a crystal ball. Marcotte Glass’ installers can identify and solve many problems before they happen, eliminating the delays and stresses that come with DIY projects. We work hard to keep projects on time, on budget, and hassle free! If you have any doubts about hiring a professional to upgrade or install your windows, contact or visit Marcotte Glass today!